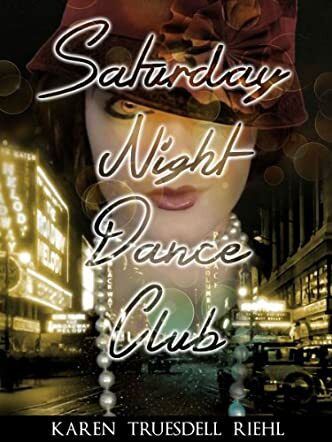 Saturday Night Dance Club (A Novel Based on a True Story) by Karen Truesdell Riehl is a novel that invites readers to share the lives of four couples during the course of a 30-year span, 1900 – 1930, in which each experienced and suffered differently during the world wars and Great Depression. America in the 1900s was the land of true opportunity, and many immigrants took full advantage as they began to move their families over to the States and start a new life in whatever trade they excelled in. Many became highly successful and many just got by, but when the Stock Market crashed in 1929, everyone suffered equally. Sometimes by losing everything they once knew: money, homes, family, material items, and their sanity. This novel provides readers with a keen perspective of pure friendship, hard times, organized crime (Mafia), the Depression; the power of love and the magic of music. Karen Truesdell Riehl has written a conversational style piece with transitional chapters, numerous intriguing characters, and story plots. The author writes each character-scene in the first person, allowing the reader to experience each chapter as if they were part of the novel themselves, thus leaving them feeling an emotional and mental connection and understanding of the plot and characters. Saturday Night Dance Club is a novel that brought mixed emotions to my reading experience. At times I was angry, sad, upset, happy, surprised, excited, and deeply moved by what these four couples and friends within the story had to face and overcome. Karen Truesdell Riehl provided me with more knowledge and personal outlook on what the people of that time period endured. This novel is great for any reader interested in the Great Depression, war, and society of the 1900s.